We are accepting Platinum, Gold, and Silver level sponsorships. To hear more about the benefits of each level please contact Lisa Anderson at lisaa@universalss.com or (810) 653-5000 x 334. 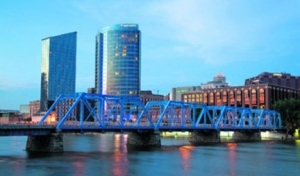 Visiting Grand Rapids, a town full of bridges, reminded us what's so different about Universal Software Solutions and it's Clients. We hope you love every aspect of our solutions, and we are committed to continue improving the user experience in every area; but we also are interested in being a part of your journey in other ways! Have a homegrown piece that works well for you? Great! Our API should be able to deliver a smooth experience. Using a third party solution for one aspect? Let's integrate! Let's bridge those gaps, together. Attendees of all types, from C-Suite execs to Service Reps, can expect two days of sessions related to Post-Acute healthcare with a focus on how to maximize & streamline efficiency with HDMS. Sessions will vary in style from workshop, multi-presenter discussion, and panels. Trying to decide who should attend from your organization? Networking during this event is a huge draw, as attendees will be surrounded by their peers and encouraged to make new connections as we host a casual Welcome Night on Monday Sept 9th, and in our Fun Night Competition on Tuesday Sept 10th. Executives can expect to experience big picture sessions from professional coaches and Universal Client Innovators who have met the challenges of their market head on. Schedule one on one time with our sponsors to talk about existing vendor, service, or connectivity relationships; or begin new ones! Management attendees can expect to see all of the new features of HDMS and StowPoint products in sessions where the software is live and incorporated into each lesson. Attend sessions that provide the shortcuts & decision points that will allow providers to bridge the gaps in service, inventory, and billing processes and with integration tools! Team Leads, Super Users, & Everyday Users should expect to learn about areas of HDMS and StowPoint they are unfamiliar with or not utilizing. Attending live sessions will allow for a more immersive experience, empowering these users to head back to home base and disseminate the information that is most critical to their organizations. Customer Service & General Staff: now offering a Certified Durable Medical Equipment Specialist (CDME) program AT THIS CONFERENCE! Click the session details link to read more. Take me to session details! 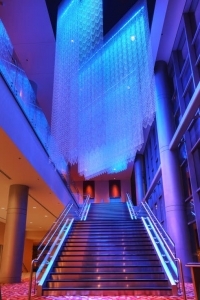 The JW Marriott is situated on the Grand River and boasts luxurious event space and rooms, perfect for our event. 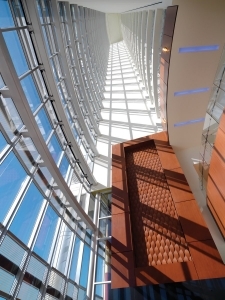 Outside of the beautiful accommodations, the JW Marriott is surrounded by the thriving beer, art, and culture that Grand Rapids has become famous for. This is a town that shouldn't be missed! We have negotiated a special room rate, as well as a special rate for the hotel's onsite parking garage or valet services for overnight guests. Use the button below to take advantage of event discount! Our venue is located just 18 minutes from Gerald Ford International Airport (GRR), 1 hour 37 minutes from Bishop International Airport (FNT), and 2 hours 17 minutes from Detroit Metropolitan Airport (DTW). If you're coming in early, in addition to using our room discount, you will have an adventure you'll never forget. 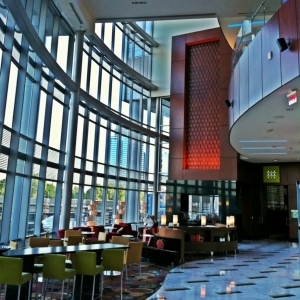 Check in with our friends at Experience Grand Rapids to make the most of your trip! At last the industry has found a way to recognize DME Experts, & allow us to invest in this rewarding career! Look forward to bridging gaps in your environment by engaging with the following event sponsors!